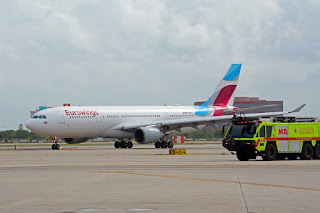 The beginning of September also brought the beginning of three new international routes to Miami International Airport (MIA). 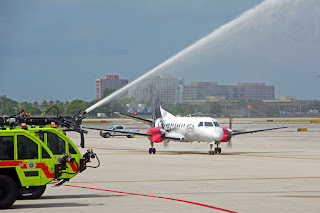 Sept. 1 saw inaugural flights connecting MIA to Bimini (BIM), Bahamas, by Ft. Lauderdale-based Silver Airways; to Köln (Cologne), Germany, by low-cost carrier Eurowings; and new non-stop service between MIA and Paramaribo (PBM), Suriname, by Surinam Airways. With the launch of its service, Silver Airways provides MIA’s first service to BIM. The 45-minute late-morning flights from BIM to MIA operate on Sunday, Monday, Wednesday and Friday. Flights from MIA depart in the early afternoon on Sundays, Mondays, Tuesday and Friday, according to the airline's website. New service connecting MIA to Köln/Bonn Airport (CGN) will operate three times per week, on Tuesdays, Thursdays and Sundays. 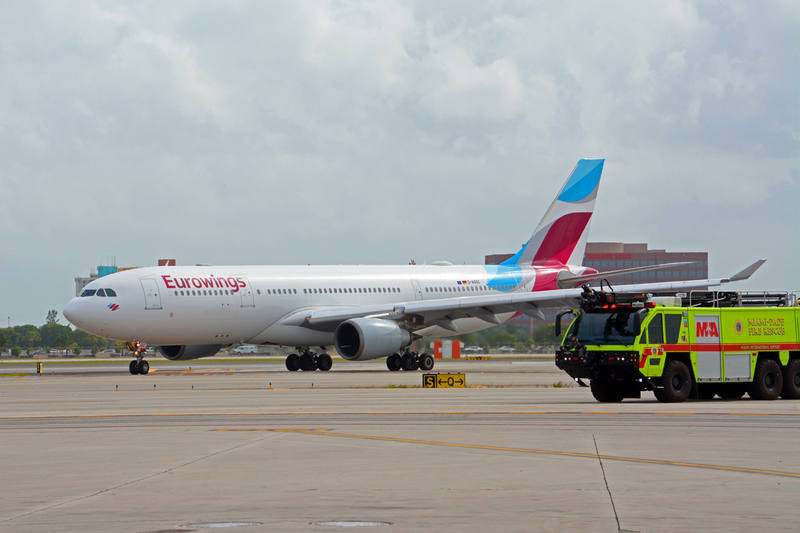 The new route makes Köln the fifth German city to be served from MIA. The others are Berlin (TXL and SXF), Düsseldorf (DUS), Frankfurt (FRA) and München (Munich/MUC). Surinam Airways’ new weekly flight from Paramaribo is the airline’s only non-stop service to the U.S. The new airlines serving MIA will add to the facility’s current total of 103 passenger and cargo carriers, which is the most served by any U.S. airport. Airport executives emphasized that the new routes and others to be added before the year's end expand the airport’s reach into new markets. MIA will welcome two more airlines before the end of September. Scandinavian Airlines will launch three weekly flights to Copenhagen, Denmark (CPH), and four weekly flights to Oslo, Norway (OSL) on Sept. 28. Dominican Wings will commence a weekly flight to both Punta Cana (PUJ) and Santo Domingo, Dominican Republic (SDQ) on Sept. 29. By the end of the year, KLM Royal Dutch Airlines will return to MIA with three weekly flights to Amsterdam (AMS) in October, and Italian airline Meridiana will launch into the Miami market with two weekly flights to Milan (MXP) in December.